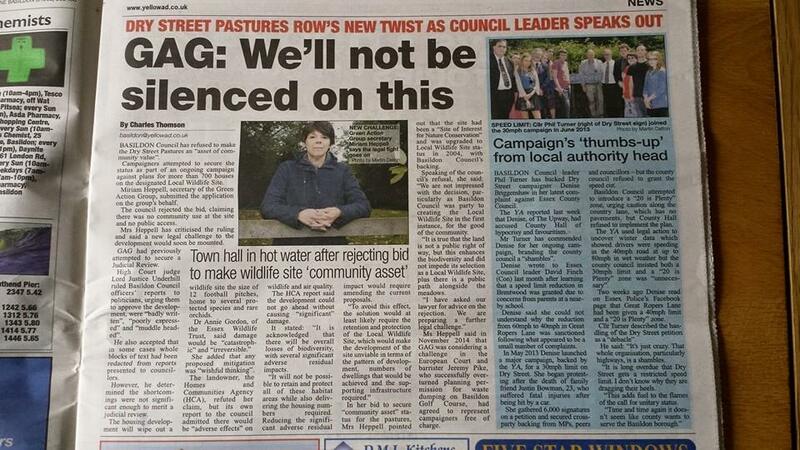 There is a good article in the Yellow Advertiser this week by award winning journalist Charles Thompson which covers the refusal by Basildon Council to list Dry Street Pastures as an Asset of Community Value. 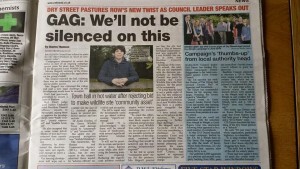 There is also an article about the long campaign for a 20MPH zone in Dry Street which we also support. This is a country lane and single track in several places. It is unsafe for pedestrians and the planned new development will only increase the traffic. After the death of Justin Bowman, Denise Briggenshaw led a strongly supported campaign but Essex CC refused to lower the speed limit. We learned recently that Essex CC were planning to introduce quiet lane 20MPH speed limits in some rural areas. Dry St surely must qualify.